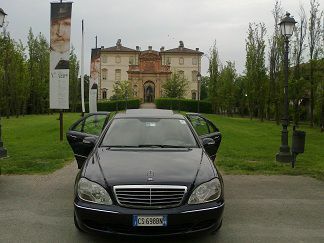 Pietro Ferrari offers a private and professional transport service and provides the visitors with his experience and knowledge of the territory for a gastronomic, cultural and recreational tour of Parma and its province, according to personal preferences and needs. The passengers wil be able to choose what they want to combine according to their interests: from the discovery of typical products (as for instance Prosciutto di Parma or Parmigiano Reggiano) , to cultural and historical sites, but also to shopping and fun. Extra services: Lunch/dinner breaks ad tastings can be agreed upon. A free Wi-Fi connection can be requie on the car. More details: The price includes the rental of a car with a private driver for an approximate duration of 4 hours. Possible guided visits, lunches and dinners, tastings or paid admissions are not included.